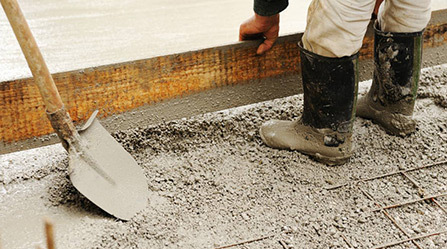 Pewaukee Concrete Contractor is Waukesha County’s leading local cement services provider. We specialize in concrete repairs and installations for outdoor projects involving driveways, sidewalks, patios, and pool decks. We work with commercial businesses and private homeowners to enhance the exterior appeal of their properties with durable, energy-efficient home construction projects. Our team consists of the most professional concrete experts in the region, and our concrete applications stand the test of time. Contact us today to discuss your remodeling or improvement needs and learn more about why we are the leading local concrete contractor in the greater Milwaukee area. We help homeowners and commercial businesses install concrete driveways that enhance both the value and exterior appeal of their properties. 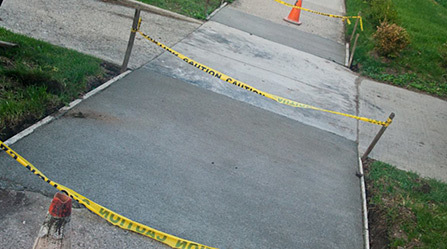 Are the sidewalks near your home or commercial business damaged? 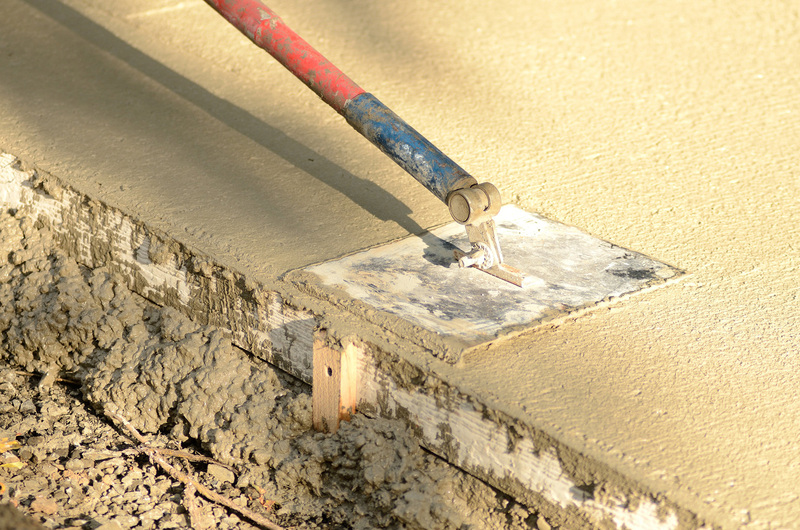 We can help you install new concrete or repair what already exists. 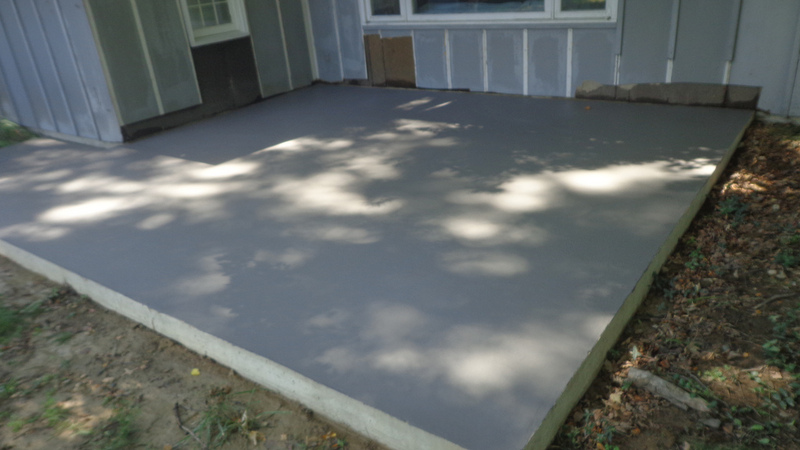 Interested in installing a new concrete patio? Work with us to design the patio of your dreams that you and your loved ones can enjoy for years to come. Installing elegant stamped concrete is an easy and cost-effective way to increase the beauty of your property. Do not hesitate to reach out with your decorative concrete needs. 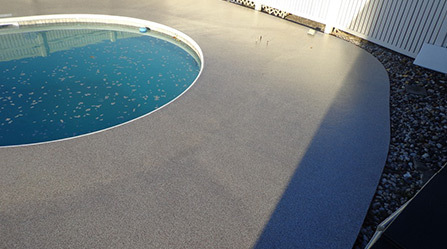 Over time, pool deck surfaces can lose their color and texture. We can apply a new concrete finish to your pool deck and restore its original charm. 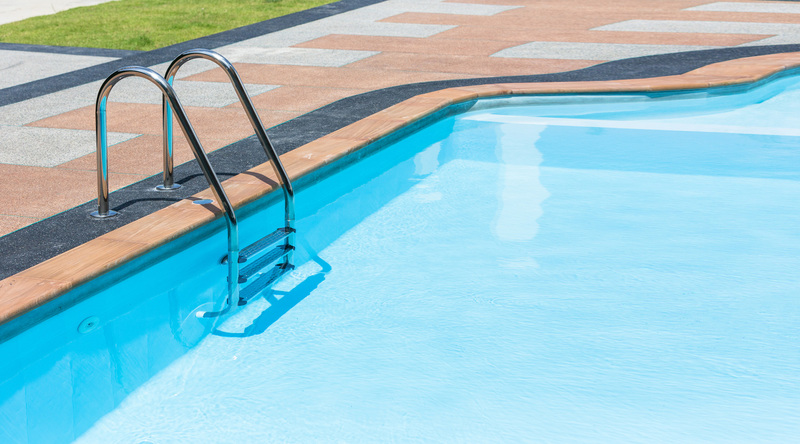 The pool deck repair services that we provide can stabilize your pool deck and help you save the money that you could have spent on replacing it. Why Choose Pewaukee Concrete Contractor? Pewaukee Concrete Contractor is the best in the region when it comes to combining experience with execution. From home construction to decorative concrete services, we do it all with unmatched excellence. We love building relationships with our clients and helping them bring their visions to life. We are a fully licensed and bonded local concrete contractor that has operated in the greater Milwaukee region for more than 15 years. Our team of professional contractors are deeply knowledgeable and passionate about designing beautiful concrete applications that last. For over 15 years, we have proudly served commercial businesses and private homeowners throughout the Waukesha and Washington counties. From day one, our goal has been to be the absolute best concrete service company in the area for our neighbors. 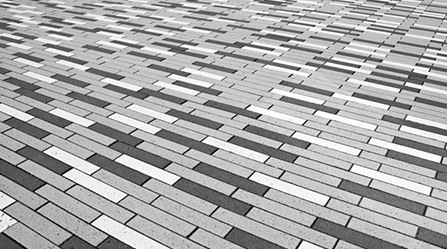 Through a full range of concrete design, installation, and replacement services, we continue to fulfill this mission and provide clients with beautiful and sustainable concrete applications. 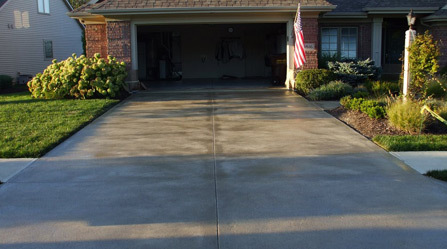 If you are considering a potential concrete project for your home or business, contact our team to discuss your needs. No matter the scale or scope, we have the experience, expertise, and equipment necessary to help. Our cement services are among the most affordable and reliable in the region. We will work closely with you to plan out your project and ensure that it fits within your budget. Contact us today or fill out a form on our website to get a free estimate of your remodeling project.